Torn between health and taste? Well, if you think healthy is not tasty, get ready to toss that thought out the window. Because here are some of the most scrumptious, low-cal, low-sugar, quick, and healthy recipes to keep you off high-calorie, fattening foods. And there’s a bonus! 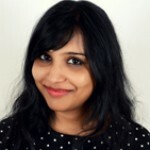 The tips at the end of the article will help you slash your cooking time and expenses by half. Ready to take this deal? Let’s begin! 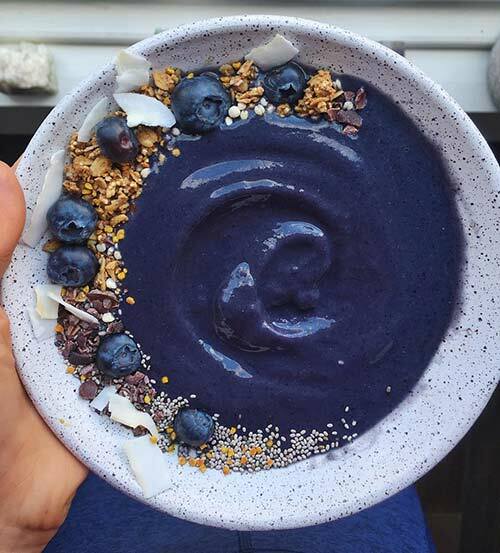 Blend the banana, blueberries, vanilla protein, and almond milk together. Garnish with muesli, coconut shavings, blueberries, and sesame seeds. Crack the eggs open in a bowl. 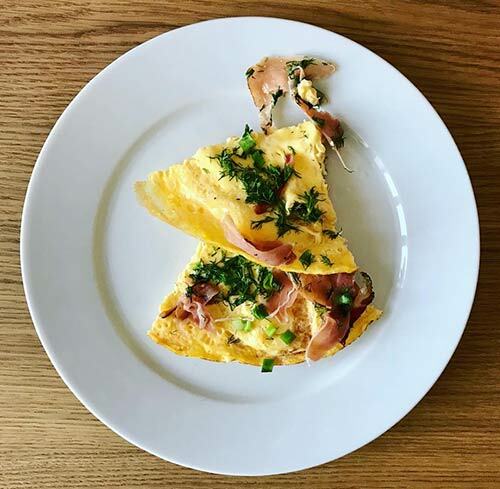 Toss in ham slices, chives, mixed herbs, salt, and black pepper. Cook the mixture for 2 minutes on each side. Heat the oil in a pan and crack open the egg. While the egg is cooking, spread mashed avocado on a slice of bread and top it with cilantro. On the other slice of bread, spread the peanut butter and top it with banana slices. 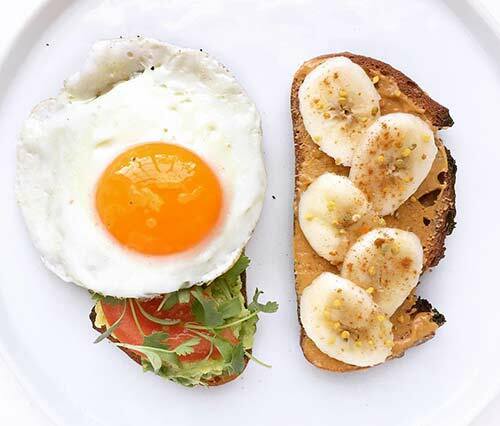 Carefully place the cooked egg on the bread with mashed avocado. Sprinkle a little salt on the egg. Your sweet and savory breakfast is ready! 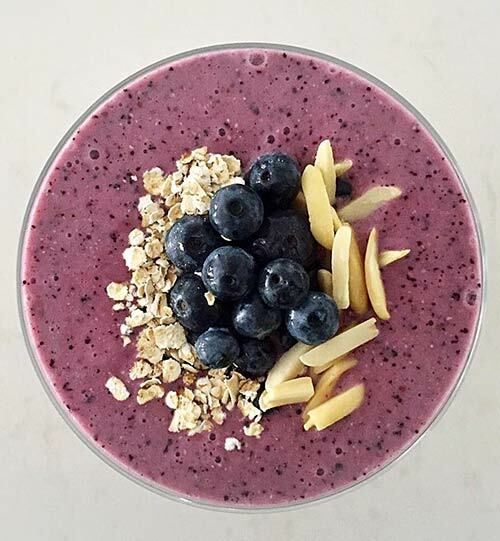 Toss the bananas, blueberries, baby spinach, yogurt, and rolled oats into a blender. Garnish with slivered almonds and a few blueberries. While the broccoli is being blanched, heat oil in a pan and add the tofu to the pan. Add honey, lime juice, paprika, and red bell pepper to the pan and cook for 2 minutes. Transfer the blanched broccoli to a bowl. 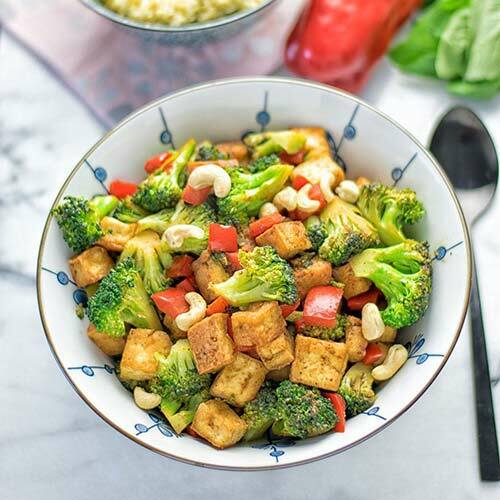 Add the stir-fried tofu and bell pepper mixture to the bowl. Combine well and top this dish with a few cashews. Heat a tablespoon of olive oil in a pan. Crack two eggs open and cook until the egg white solidifies. Pick the eggs up with a spatula and place it on one side of a plate. 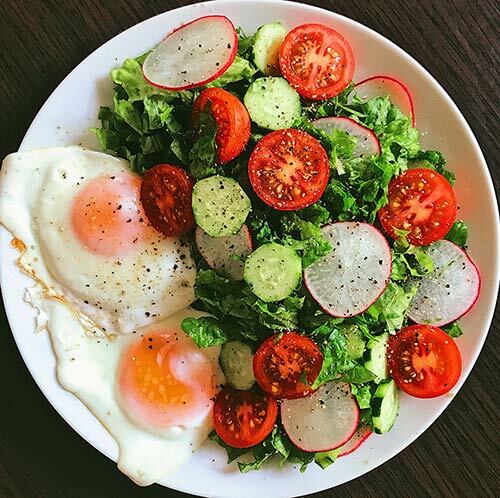 In a separate bowl, mix the greens with radish, cucumber, tomato, salt, pepper, lime juice, and olive oil. 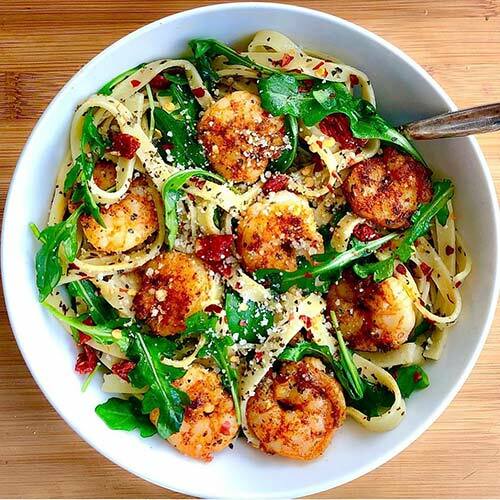 Add the salad to the plate, and your lunch is ready! Toss the sweet potatoes with olive oil, salt, and pepper. 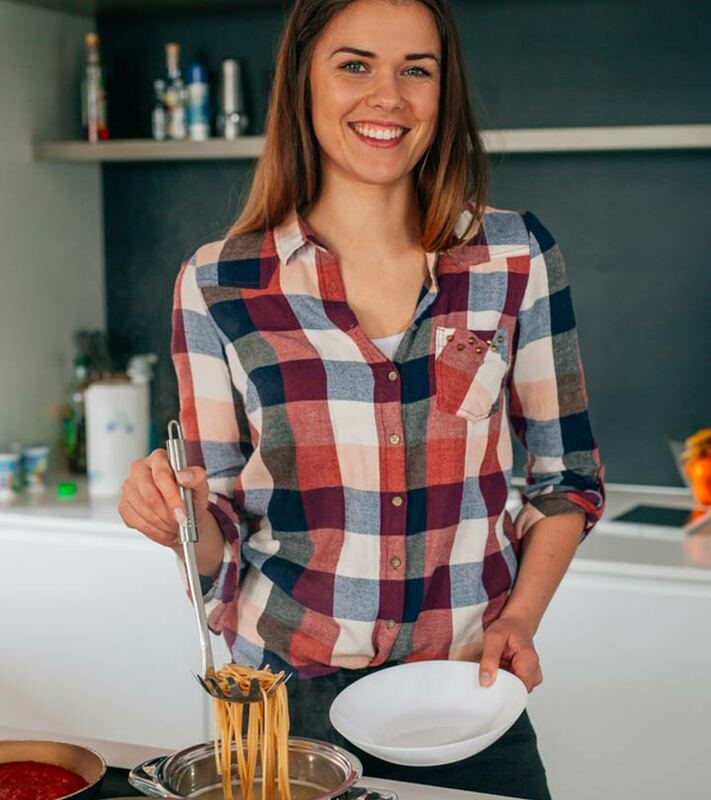 Place the sliced sweet potatoes on a nonstick cookie sheet in a single layer and bake them in the oven at 400 degrees Fahrenheit for about 30 minutes or until they are completely cooked. Blanch the cauliflower and frozen peas. Heat one teaspoon of olive oil in a pan and add the brown lentils. Cook lentils for 2 minutes and then add allspice. Cook for another minute. Transfer the brown lentils to a bowl. To the same pan, add the blanched cauliflower and a little turmeric powder to give it a golden hue. 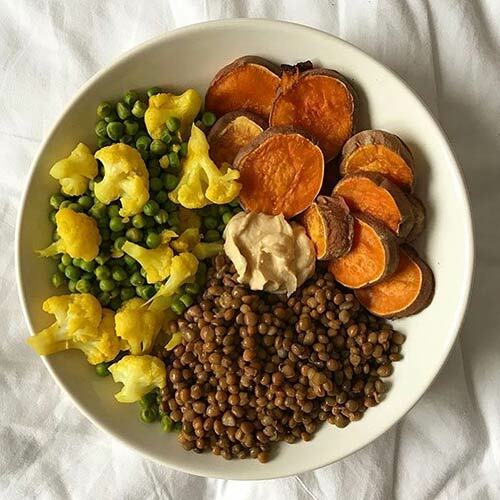 Plate the baked sweet potatoes, cooked peas, cauliflower, and brown lentils, and add a dollop of homemade hummus. Marinate the fish with lime juice, salt, and white pepper. Toss the sweet potato cubes with olive oil and salt and bake them in the oven for about 30 minutes or so at about 400 degrees Fahrenheit. Heat olive oil in a pan and cook the fish fillets for about 5-7 minutes on each side on medium-high heat. Place the mixed greens on the plate first and then keep the baked sweet potatoes on one side. 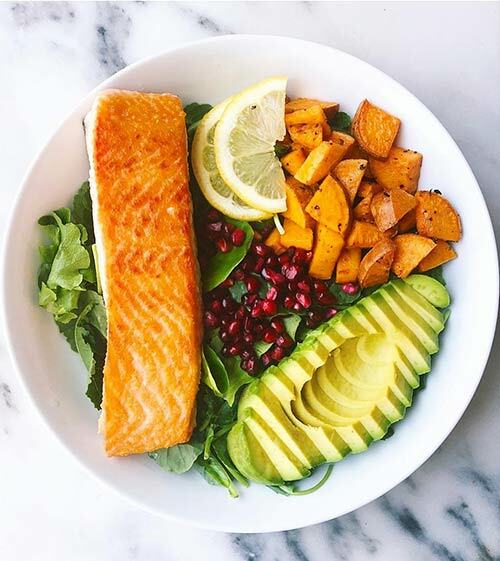 Place the pan-fried fish, avocado, and pomegranate on top. Add a squeeze of lime and a little bit of salt to season the mixed greens. Rub salt, white pepper, and lime juice on the fish. Toss the fillets on a baking tray and bake until the fish is cooked completely (about 15-20 minutes at around 425 degrees Fahrenheit, or until fish comes off flaky with a fork). Prepare the rice by cooking it in a rice cooker or a pressure cooker. In the meanwhile, heat oil in a pot. Add the chopped onions and cook until they become translucent. Add the grated beetroot and cook for 3 minutes. Add the cooked rice to the pot and combine well. 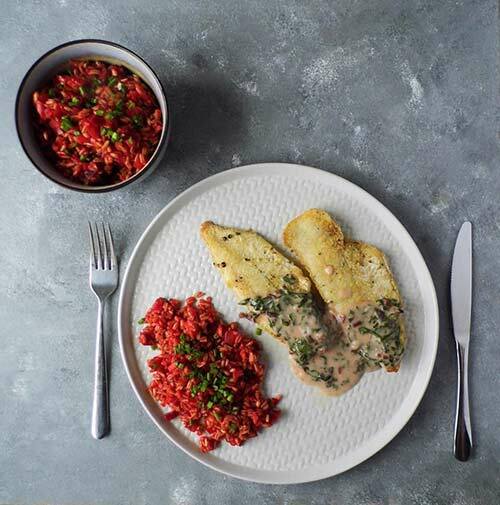 Serve the beetroot rice with baked fish fillets in two plates. Garnish the fish with mixed herbs, and the beetroot rice with chopped chives. Bring 3-4 cups of water to a boil. Add the fettuccine pasta, a little salt, and a teaspoon of olive oil. Cook until the pasta is fully cooked. In the meanwhile, heat oil in a pan. Add the minced garlic and cook for a minute over low flame. Add the shrimp and salt. Cook for 2 minutes. Add the arugula and sun-dried tomatoes. Use the spatula to mash the tomatoes. Discard the excess water from the pasta and toss the fettuccine into the pan. Add Cajun seasoning and grated Parmesan. Mix everything well. Top it with some more Parmesan before serving. Bring about four cups of water to a boil. Add the bow tie pasta, a little salt, and a teaspoon of olive oil to the boiling water. 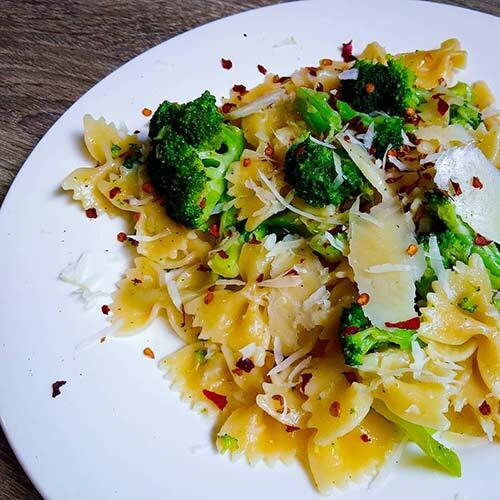 Cook until the bowtie pasta is fully cooked. In the meanwhile, heat olive oil in a pan. Add the minced garlic and chili flakes. Cook for 10 seconds. Add the blanched broccoli. Toss and cook for 2 minutes. Discard the extra water from the pasta. Add the pasta to the pan. Cook for a minute. Add grated cheese and serve. Add chopped onion and tomatoes. Add the carrot, cumin powder, coriander powder, salt, and chili flakes. 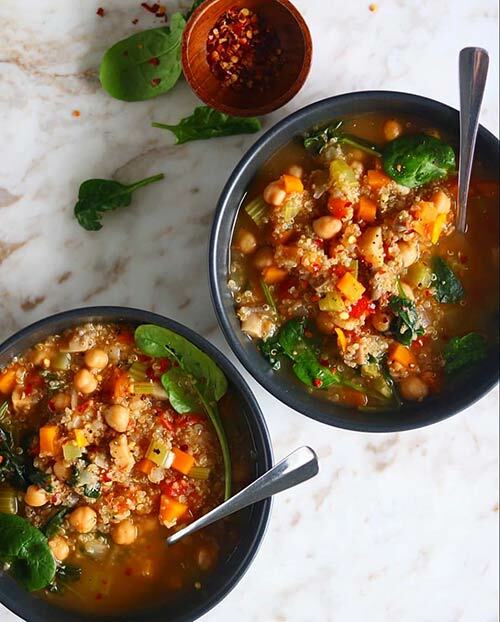 Add the canned chickpeas, celery, yellow bell pepper, and quinoa. Cover and cook for 10 minutes. Stir in the baby spinach. Wait for 2 minutes before serving it. Add minced mushroom, onion, garlic powder, avocado, salt, and white pepper in a bowl. Halve the tortillas and place the avocado mix on one side of each halved tortilla. Wet the edges of the tortilla with a bit of water. Fold it and seal the edges. Toss them on a baking tray. Sprinkle a generous amount of olive oil. Bake until the tortilla turns golden brown (about 5 minutes or so at 325 degrees Fahrenheit). In the meanwhile, blanch the frozen peas and blend them in a food processor. Add lime juice, salt, and cilantro to this peas hummus. 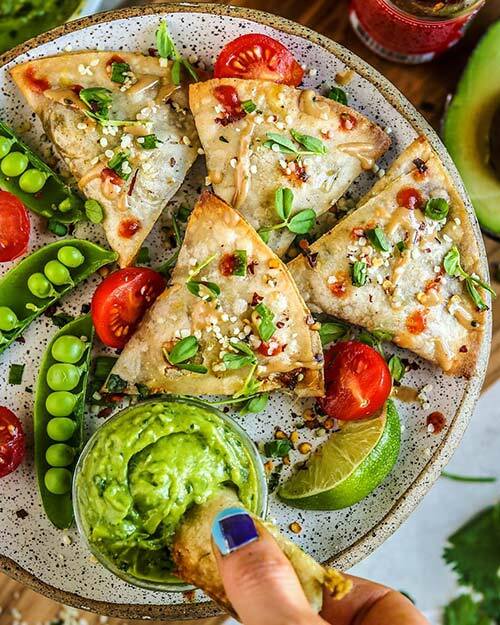 Serve hot, baked tortillas with peas hummus, halved cherry tomatoes, cilantro, and lime wedges. Use a skillet to toast the tacos lightly. Mix yogurt, boiled corn, salt, a little bit of paprika, and lime juice in a bowl. 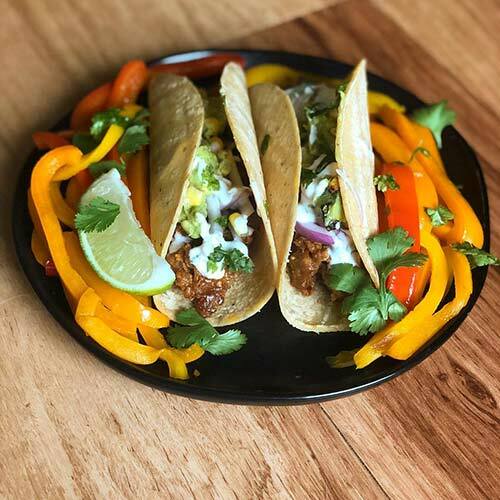 Lay the bell pepper and tomato slices on the tacos. Add a final pinch of salt and a generous squeeze of lime juice. Garnish with cilantro, and your yummy snack is ready! In a separate bowl, mix the lime juice, salt, chili flakes, olive oil, and diced dried rosemary. Use a spoon to drizzle the delicious dressing on the halved grapefruits. 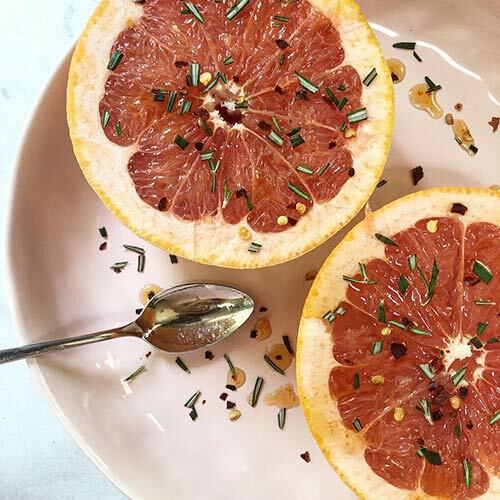 Enjoy the spiced up grapefruit as a snack! So, as you can see, healthy does not equal bland. If you use fruits, veggies, nuts, herbs, and spices carefully, you can create a yummy dish each time you enter the kitchen. Stop eating out and see how quick you lose weight as well as the interest to eat high-calorie foods. Purchase your veggies on the weekend and chop and store them in sealed bags or containers to keep them fresh until you are ready to use them for meals and snacks. You can also make dough, hummus, and sauces ahead of time and refrigerate them, so they will be ready to go when you are ready to eat. Take a step toward consuming healthy, homemade food, and you will be a thousand steps away from diseases. Don’t wait, get right to it! Take care!